Last week I finished the FastPass+ Guides to Walt Disney World. Now, the time has come to move over to the west (best?) coast and offer some strategy to the FastPass system at Disneyland Resort. I’ll be writing about California Adventure first, which doesn’t have as much to offer as Disneyland. I’m getting ahead of myself though! What are the differences between FastPass+ at Walt Disney World and FastPass at Disneyland? If you’ve read my earlier guides then you probably have a general understanding of how FastPass+ works (assuming I’m a halfway competent writer, a big assumption I know) at Walt Disney World. A FastPass serves the same general purpose in Disneyland as it does on the other coast, the pass allows guests to skip the majority of the line at an attraction. The difference between Disneyland and Walt Disney World is that you can’t reserve the FastPass ahead of time at Disneyland. Hence the lack of +. If you ever have questions about reserving something in advance, just look to see if there is a + included. That always works. In a way, with the lack of advance FastPass+ reservations, Disneyland is much easier to manage when planning out your trip. Along with not worrying about what to reserve in advance, Disneyland Resort also has fewer options to FastPass. That means there is less decision-making and strategy involved. The way to obtain FastPasses at Disneyland is to go to the attraction (at least in most cases) and insert your park ticket at a FastPass machine. The FastPass will pop out. That pass will have two times on it with an hour between them. You have to return to that attraction within that hour-long window and then you’ll be able to enter the FastPass line. The pass will have smaller font on it, as well. That smaller font will tell you when you can get your next FastPass. Check out the photo below to see one. As I said, guests aren’t allowed to get another FastPass until that time in the small font says. Aside from that restriction, you can get as many FastPasses as you please. FastPasses aren’t available during early entry but they are during all normal park hours. One way that California Adventure is unique is that you can get a FastPass for World of Color at anytime and then get another FastPass immediately. There is no wait time when it comes to that FastPass, so you might as well get it. The earlier you get the World of Color FastPass, the better section you will be in for the show. So, as long as you are planning to watch World of Color then get a FastPass at some point in the morning. It won’t hurt anything! 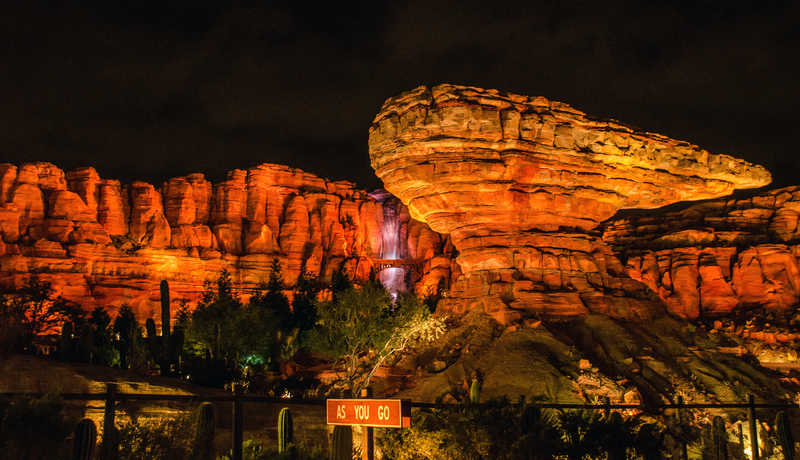 There aren’t many attractions with FastPass available and there are quite a few quality attractions at California Adventure, so there aren’t exactly any easy choices here. 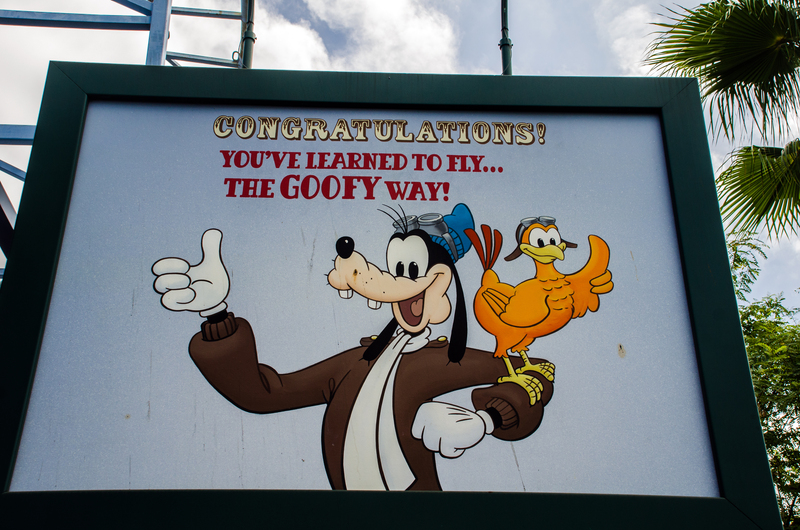 The least of the attractions offered is Goofy’s Sky School. It won’t often have long wait times (unless you come at a very busy time of year) and I’d recommend skipping riding this attraction if there were long lines. Of course, I’m not a big fan of roller coaster so some might disagree with me. Still, that doesn’t change the fact that this is the least popular of DCA’s FastPass attractions. Next on the list is a bit of a toss-up. Grizzly River Run isn’t very crowded when the weather isn’t hot. Of course, that’s not very often in California. If you go in the winter months then you likely won’t need a FastPass for Grizzly River Run otherwise this isn’t a bad option for your 3rd or 4th FastPass. Grizzly River Run is often closed in the first few months of the year for refurbishments, so be aware of that. Grizzly River Run and Goofy’s Sky School do often utilize a single-rider line which is a good way to go if you don’t mind being seperated from your group. Toy Story Midway Mania is newest to California Adventure’s FastPass club. The attraction is not a bad use of FastPass but I’d save it until the afternoon. While a fairly popular ride, the wait times ebb and flow. A fair warning: this line can be miserable during the day as the sun beats down on guests. Try for a FastPass in mid-afternoon and you’re saving yourself some uncomfortable waiting. Guardians of the Galaxy: Mission BREAKOUT! can have some decent sized lines, especially as it’s still new. The attraction does load large groups of people at a time so it’s not that high on this make-believe ‘FastPass Priority List’ . The FastPass for this attraction also doesn’t skip a large portion of the line. If other attractions are out of FastPasses or you’ve done Soarin’, RSR, and Incredicoaster then get one here. What I wrote for Tower of Terror is often the same for Incredicoaster(soon to be Incredicoaster). While the attraction has recently been redone, the queue is still hot and fairly boring. Therefore this ranks higher than some others on this list. On top of that, the attraction is still new. I think it settling in the second to fourth range is fair, although it currently has a bump in popularity. I would prioritize Incredicoaster slightly higher for the rest of 2018 and into 2019. 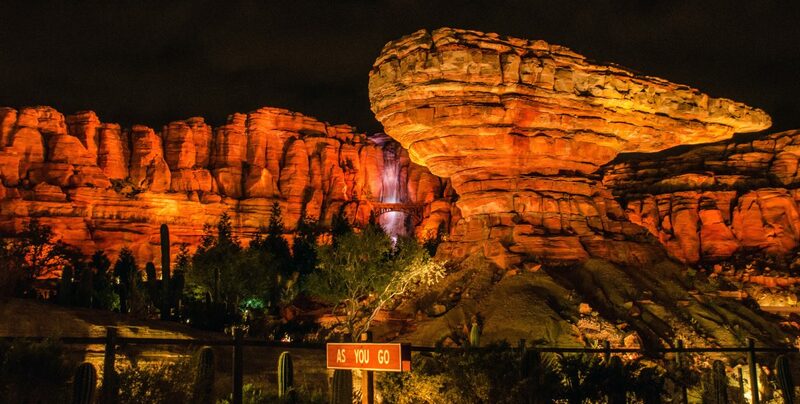 That leaves Soarin’ and Radiator Springs Racers for the coveted top spot in the Wandering in Disney – California Adventure – FastPass Rankings, also know as the WiDCAFPR Award. This decision is really a no-brainer. Radiator Springs Racers is the superior attraction and is almost always more crowded. 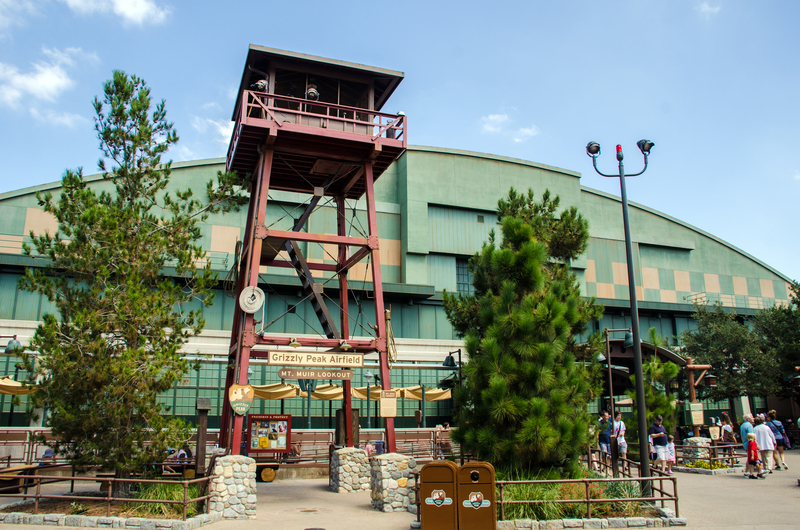 Right now, Soarin’ Around the World may even fall third or fourth on this list but the attraction is loved and will end up closer to second over time. 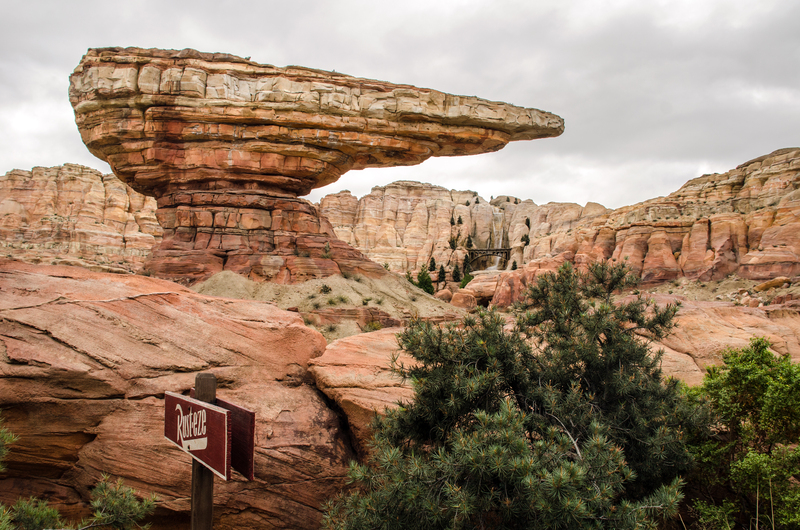 There are a few things to know about Radiator Springs Racers though. First of all, it’s the only attraction where the FastPass isn’t directly next to it. The FastPass is right by the entrance to Cars Land. 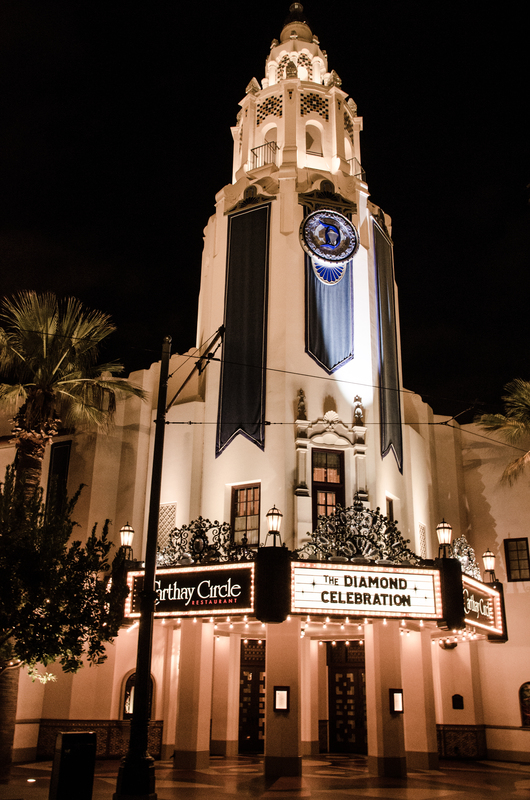 If you are there at park opening, the line for the FastPass will likely be around Carthay Circle. Follow signs for that FastPass, there will be many Cast Members around to help you out. One other item of note is that Radiator Springs Racers has an extremely effective single-rider line. In my experience, going as a single-rider hardly takes anything away from the attraction. Often times the people you go with end up in the same car with you or in the car you’re racing against. I highly recommend the single-rider line especially since you’ll want to ride this attraction more than once. Unless you have no soul. As I’ve already said, all of this could change do to personal preference. I tried to go by order of popularity while also factoring in how interesting and hot the queue gets. Below is a quicker version of my rankings along with what time of day I’d try to get a FastPass for this attraction. Radiator Springs Racers – The best and most popular attraction at Disney California Adventure (maybe in all of Disneyland). I’d get a FastPass for RSR at park opening and then go ride it via standby. If not, get a FastPass for it and then go ride Soarin’ immediately. To get a FastPass for it, you’ll have to go near park opening or else they will run out of FastPasses. Also, try the single-rider line around dusk for a great experience. Soarin’ Around the World- While finishing second, Soarin’ is quite a ways behind Radiator Springs Racers on this list. I would get a FastPass for this as soon as the previous one allows you to. 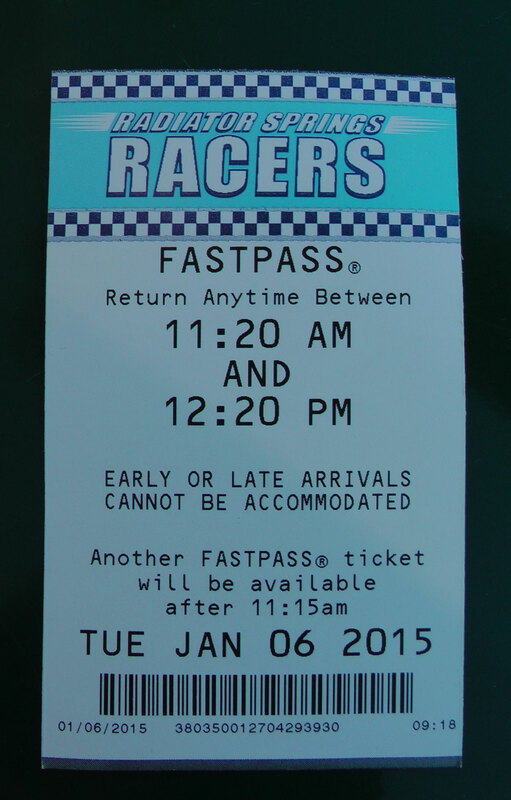 That would put getting this FastPass sometime in the late morning (depending on park hours). While over in this direction pick up a FastPass for World of Color, as well. For the remainder of 2018 and most of 2019, consider moving Soarin’ Around the World down the list with Incredicoaster (and to a lesser degree, Mission: BREAKOUT!) still relatively new. 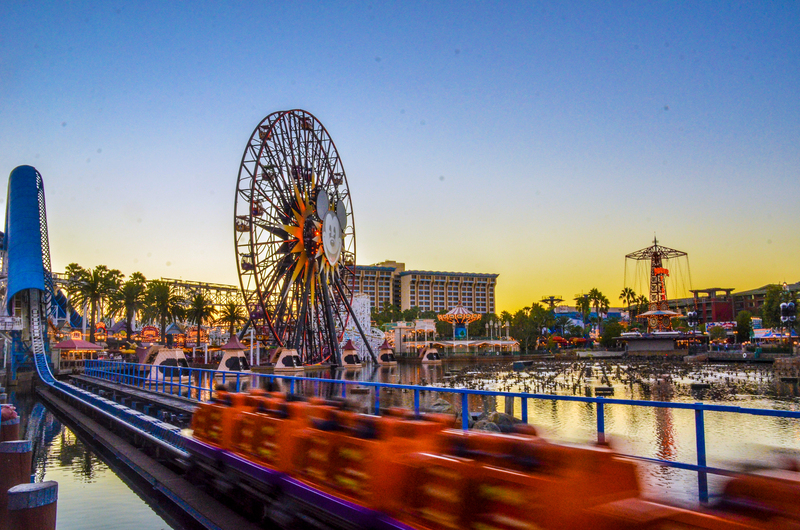 Incredicoaster – Once available, I’d head over to Paradise Pier and get a FastPass for Incredicoaster. If the window to ride is the next hour or so, spend some time in line at Toy Story Midway Mania, ride the not-so-popular attraction, and maybe get some Lobster Nachos at the Cove Bar. If the FastPass is a ways out then go ride Tower of Terror and do some attractions in that section of the park. This finishes above Tower of Terror due to its boring line and the heat. If it’s really hot out, get a FastPass for Grizzly River Run in this slot instead. For 2018 & 2019, move Incredicoaster a little higher on this list due to it being new. Guardians of the Galaxy: Mission BREAKOUT! – Only slightly behind Incredicoaster, I’d FastPass this in the afternoon assuming there were still some available. While I miss Tower of Tower, Mission BREAKOUT! is a lot of fun. The line does move fast if you have to go stand-by. 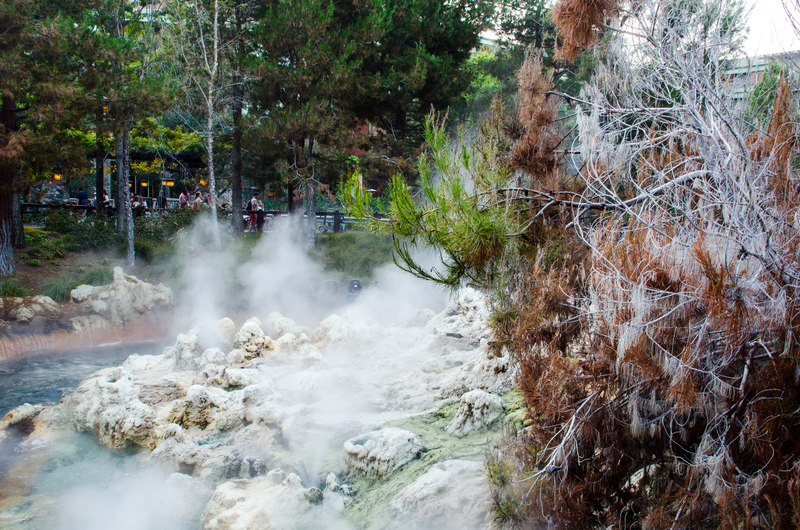 Again, if it’s really hot then skip this one in favor of Grizzly River Run. Toy Story Midway Mania – A very fun attraction with wait times that ebb and flow. I’d FastPass this in the afternoon to skip the outdoor line (much like California Screamin (or Incredicoaster). If the line is under 30 minutes though, just stand-by and get a repeat FastPass elsewhere. 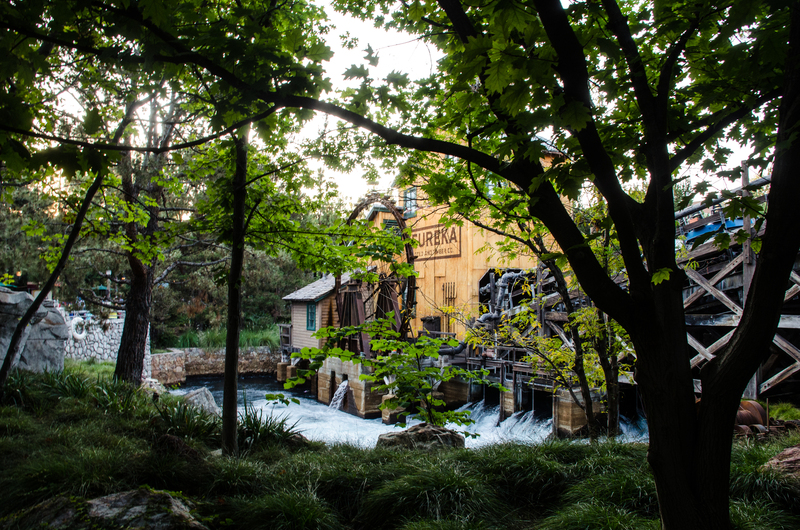 Grizzly River Run – This is the wildcard. I love this attraction, as it’s much better than your average river rapids theme park attraction. If the weather is less than 80 or 85 degrees then the line isn’t terrible. But, if it is then this attraction would jump up to number 3 or 4 in my rankings. Goofy’s Sky School – I don’t like this one but I guess if nothing else is available and you’re in the area then FastPass it if the wait is over 15 minutes long. That does it for California Adventure. If you have anything to add or any questions then please let me know in the comments! Thank you for reading! New WDW Resort, Ticket Prices & More! This all seemed about accurate. Totally agree with the single rider line for the Cars ride – I went with my husband and another couple and ended up in the same car with one friend, racing against the other friend and only my husband ended up in the car behind us. So it is very likely you’ll end up with your group being pretty close together.